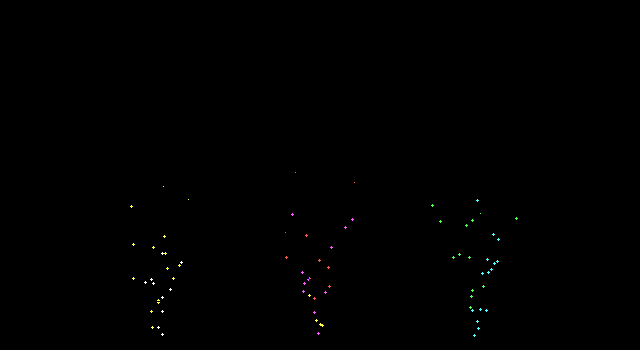 Just in time for the new year, here is an old commercial fireworks screen saver: PYRO! Disclaimer: Yea, the actual program does not look as cool as the box artwork makes it look. PYRO! 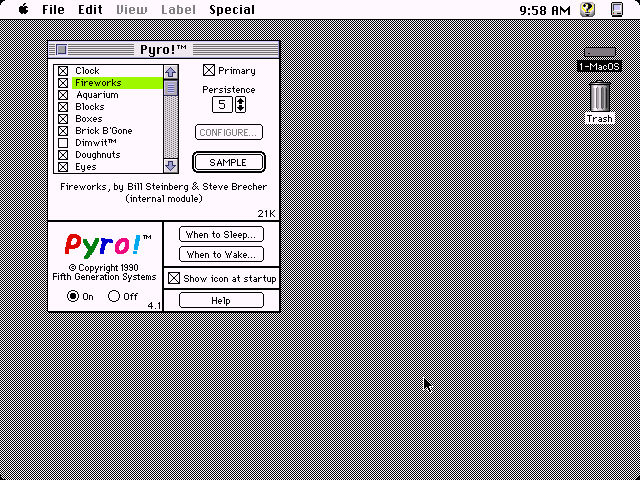 Started off as a simple black and white fireworks screen saver for the Apple Macintosh. Some of the Mac sites have SIT file archives (incomplete) of 1.0. I got a screen shot of 1.0 above, but you only see one tiny bit of projectile or small "explosion" on the screen at once.  The later versions are much more elaborate, and include "modules" that provide different kinds of screen savers. This includes "enhanced" fireworks displays, typical colored wavy lines, scrolling text, bouncing photos, screen melting, and so on. 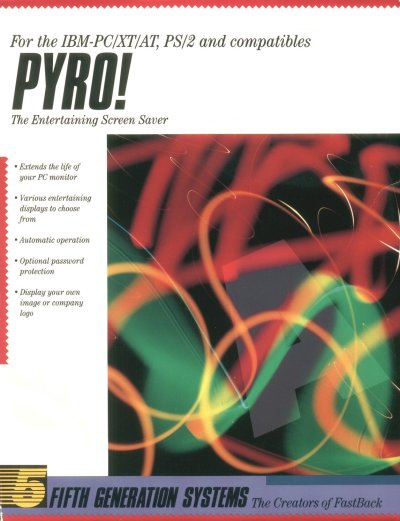 In 1991, PYRO was "ported" to DOS. I write "ported" because it really has little resemblance to the Mac version. That is certainly expected to be the case underneath the hood. DOS screen savers have a much bigger technical challenge as DOS programs often mess with the hardware in ways that make it impossible to safely switch to or return from another DOS program. As far as I can tell, PYRO! for DOS only supports VGA, not EGA, CGA or Hercules. PYRO! 1.0 for DOS was followed up by Pyro 2.0 for DOS. 2.0 includes a different variety of screen saver modules. Oddly, 2.0 seemed to focus on using blocky 256-color 320x200 VGA modes instead of 640x480 16-color modes. 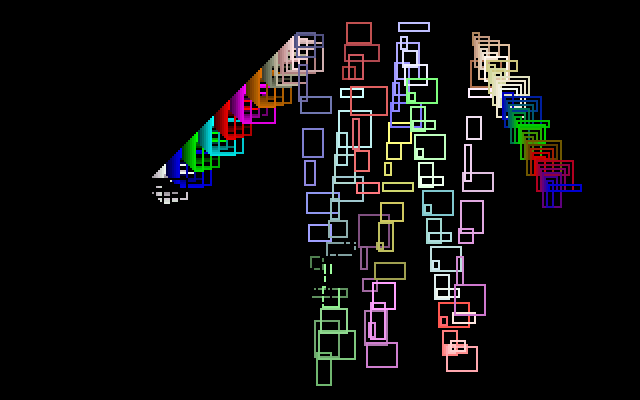 After that, it appears it got buried in the piles of other screen savers.